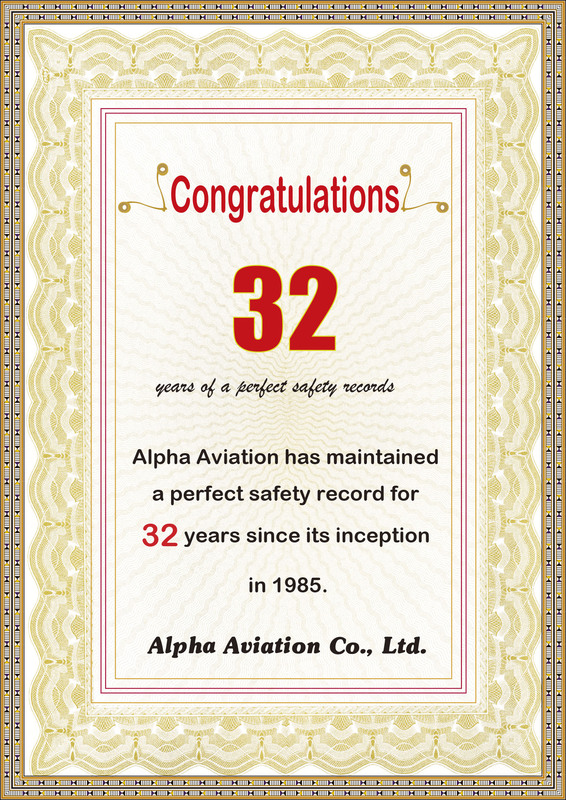 Alpha Aviation has maintained a perfect safety record for 32 years since its inception in 1985. We are very appreciate of your cooperation and support. We will continue to do our best to develop the aviation industry.